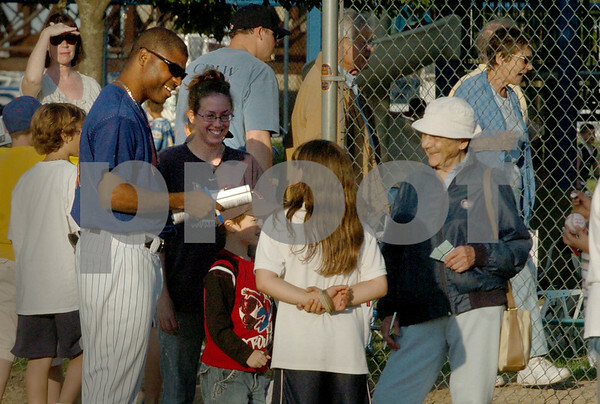 Newburyport: David Valdez who played baseball with the Seattle Mariners, Los Angeles Dodger and the New York Mets signs autographs at Cashman Park. He played on the Red Sox Alumni team in an exhibition game against Newburyport High School staff. Bryan Eaton/Staff Photo Newburyport News Sunday June 14, 2009.